A durable and practical white storage unit, ideal for bedrooms that may be a little short on space. The open shelving unit and deep set drawer provide an ideal place for storing clothing or books. 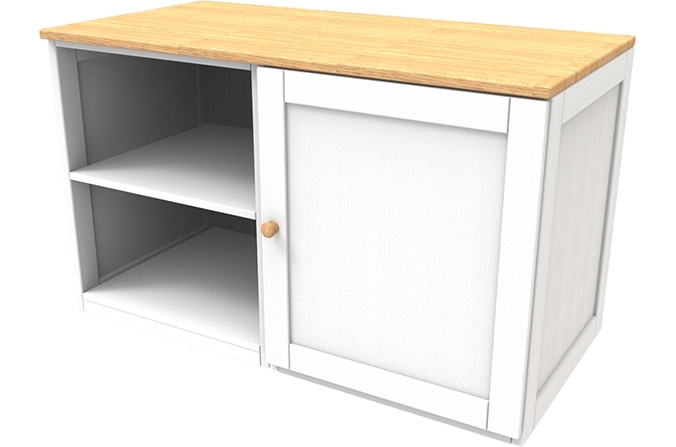 This unit matches other Sierra Furniture and is available in Arctic White and Midnight Blue. The Sierra White Bedroom Storage Unit is a great addition to other Sierra Collection bedroom furniture. 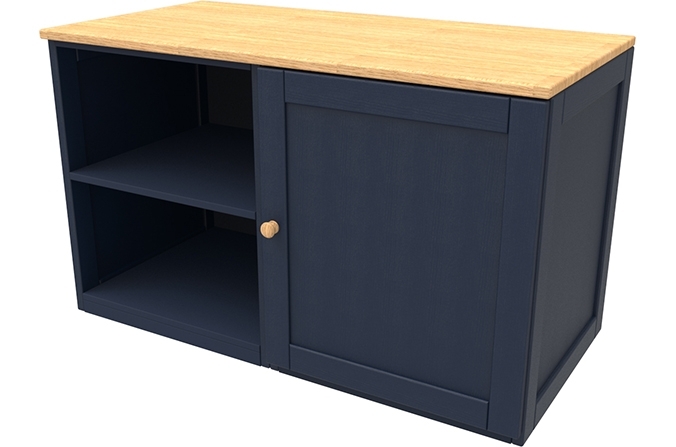 Made from solid ash hardwood with a beautiful oak laminate worktop, this storage unit is sure to be a durable and practical addition to any bedroom. This unit has one open shelving unit and one deep set cupboard with an internal shelf.